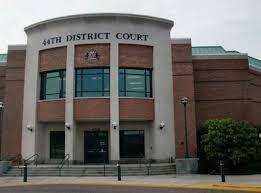 The 44th Royal Oak District Court Judges are the Hon. Terrence Brennan and Hon. Derek Meinecke. If you have been charged or accused of a crime before the 44th Royal Oak District Court, you will need the experience and relationships of Royal Oak Michigan Criminal Defense Attorney Kevin Bessant to help you navigate your criminal case. The Royal Oak Police and the Oakland County Prosecutor’s office can wreak havoc on your criminal record and driving record if you face your case without proper counsel. Criminal Defense Attorney Kevin Bessant will sit down with you personally to go over your case and help build a winning defense to successfully resolve your case and place you in the best position possible.